In the UK, there are a growing number of universities and institutions of higher education that offer ethnomusicology as a subject of study. Ethnomusicology is most frequently integrated within music departments, but may be offered by anthropology departments at some institutions. At the undergraduate level, ethnomusicology is usually offered in the form of individual modules on the world's musics that are integrated within a degree programme in music or anthropology. Here, students usually begin with more general courses on the world’s musics at entrance level, and move towards more specialist regional area or themed courses in subsequent years. Whilst many universities adhere to this model, SOAS (School of Oriental and African Studies) and QUB (Queen's University of Belfast) are notable exceptions where you can study for a BA in Ethnomusicology. At the postgraduate level, institutions may offer ethnomusicology as an independent course of study. Often entitled MA (Master) or MMus (Master in Music) in Ethnomusicology, such degree programmes usually centre on learning about the discipline’s history, scope and subject matter, methodologies of fieldwork and participant-observation, emic/etic perspectives, writing ethnography, and other theoretical and methodological concepts. The University of Sheffield also offers an independent postgraduate course of study in world musics, entitled MA in World Music Studies (Distance Learning). Many ethnomusicology programmes also strive to offer performance opportunities in a number of musical styles and genres from around the world. Indeed, many ethnomusicologists have received musical training in the music culture in which they specialise and often lead world music ensembles or vocal choirs as part of the ethnomusicology curriculum at their institutions. Immersion in world music performance may also occur in the form of occasional workshops or extended ensemble practice led by a culture-bearer. Before applying to an institution, you may wish to contact the department about the performance opportunities offered to students. In addition to taught postgraduate courses, you can also pursue an independent research project in ethnomusicology or a related topic towards a MPhil (Master in Philosophy) or PhD (Doctor in Philosophy). During such a research degree, you will be supervised by an ethnomusicologist (or a specialist from a related discipline) who will provide support and feedback for the preparation of an extended piece of writing, a dissertation. If you are interested in studying towards a MPhil/PhD, you should contact the ethnomusicologist at the institution at which you wish to study to discuss your ideas and proposal. Where can I study ethnomusicology? Ethnomusicology can be studied at a number of institutions in the UK, which offer courses at undergraduate or postgraduate level, or both. Below you can find a list of institutions (in alphabetical order) with links to detailed information about current curricula, degrees offered, and contact details. Prospective students in ethnomusicology are encouraged to investigate multiple programs and to assess their various strengths and resources. For additional information, visit the websites of individual programs and contact program faculty and current students. For a comprehensive overview of all universities and higher education institutions in the UK, go to the following website. The British Forum for Ethnomusicology has its own Facebook page, where students and colleagues can share events and find out about BFE-related news. You may also wish to join the Ethnomusicology in the UK site on Facebook where students from around the world engage in dialogue about their (ethno)musical experiences. 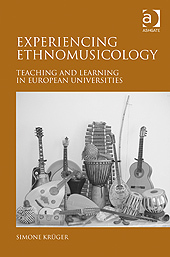 Please note that this guide to ‘Study Ethnomusicology’ is not comprehensive and may not contain current information. For additional entries of institutions that are not represented and updates on entries currently included, please contact admin bfe.org.uk.